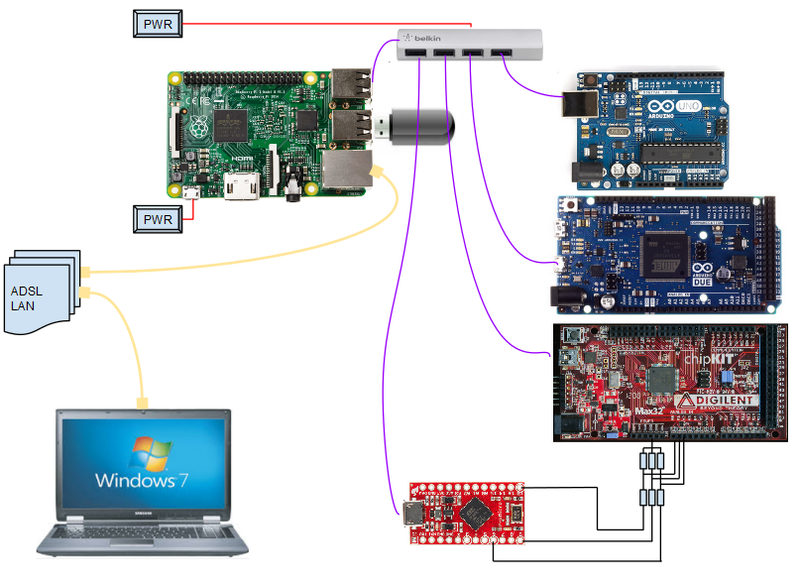 with a new RPI2B board and the system optional WHEEZY or JESSIE ( as 2 SD cards ) i want work again. my last BLOG about scope was here and here and here and here and here and here and here and also some old versions at download area ( or just as link to zip file from inside the blog). and so my documentation and software / downloads about that also very confusing, because historically grown. but that it is what it is about, with the new faster RPI2B i could test processing again for visualization, even on the sampler hardware side no news. as i tested MAX32 , but it is a 3v3 board so needs a voltage divider at the Ains to be used for the 5V world or even bigger voltages ( also DUE board). 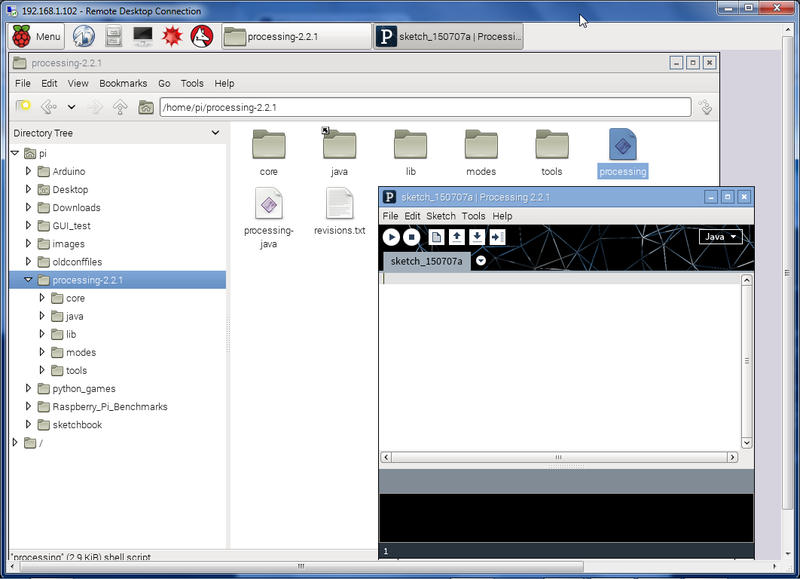 also it needs a different ( modified arduino 0023 ) IDE, but now also for raspberry pi available! 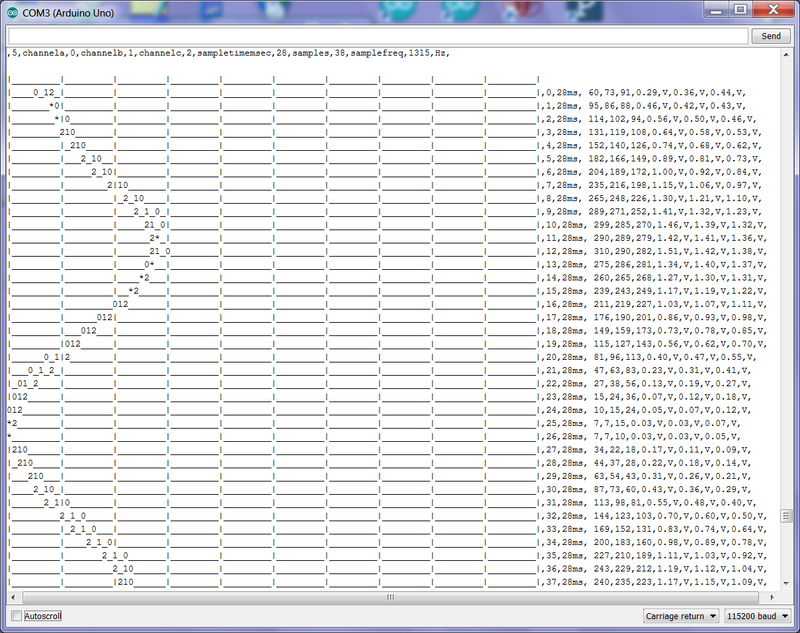 no ram for 3 channel 360 samples..to processing scope, but 38 samples for one page line chart good. 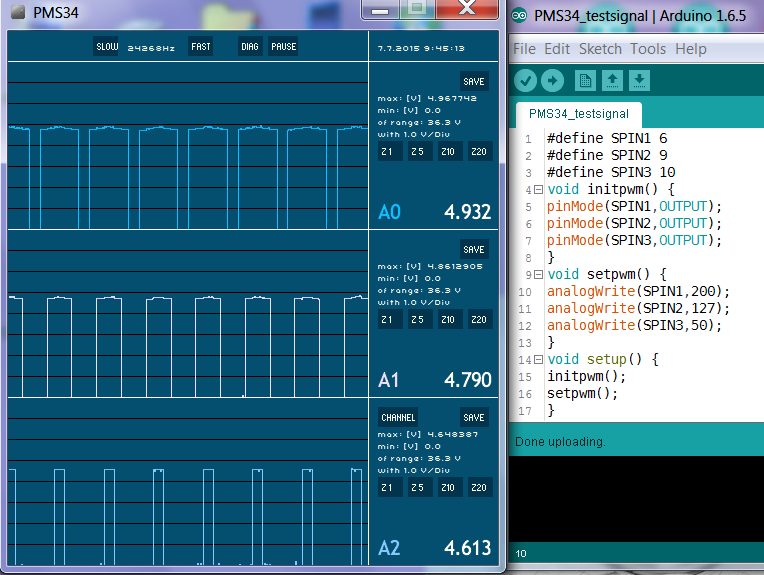 and in NO BATCH mode ( line by line analog read and print mode ) down to 30sec sample rate. 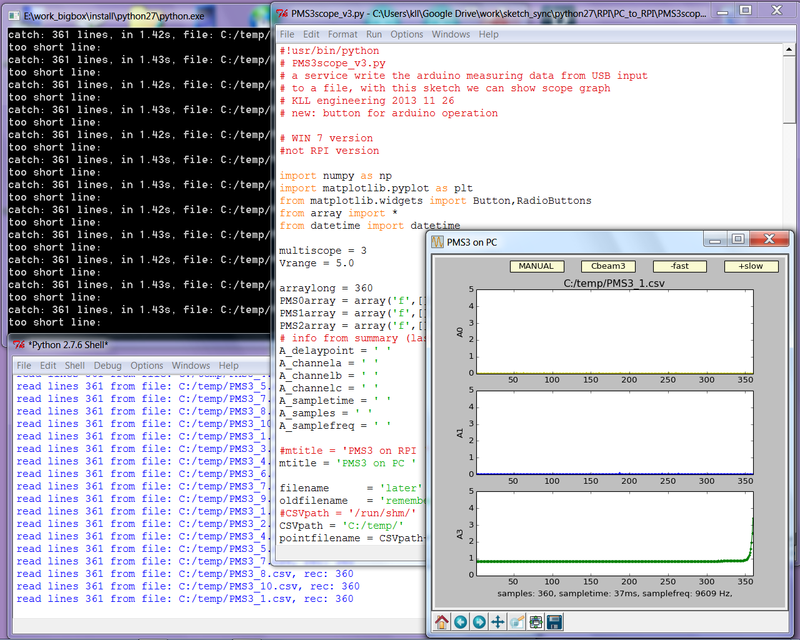 so i use the "no use processing" thinking means only show 38samples / 3 channel int array for line chart. 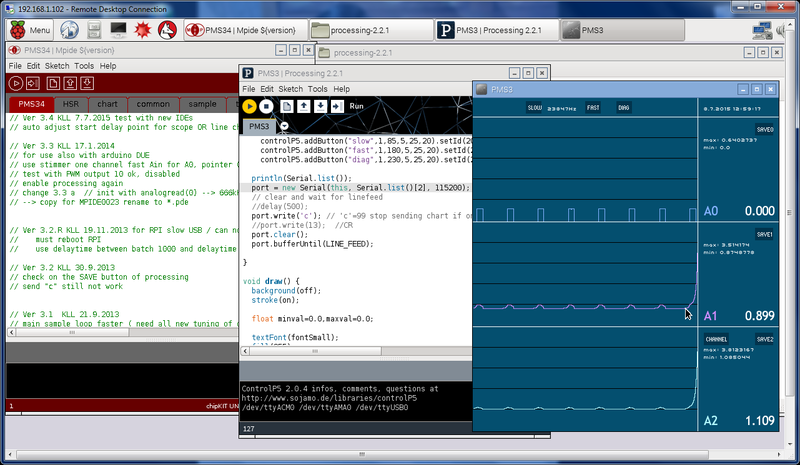 implicit i wanted to say: if you use a UNO and the processing "scope" visualization, better use PMS2 only. 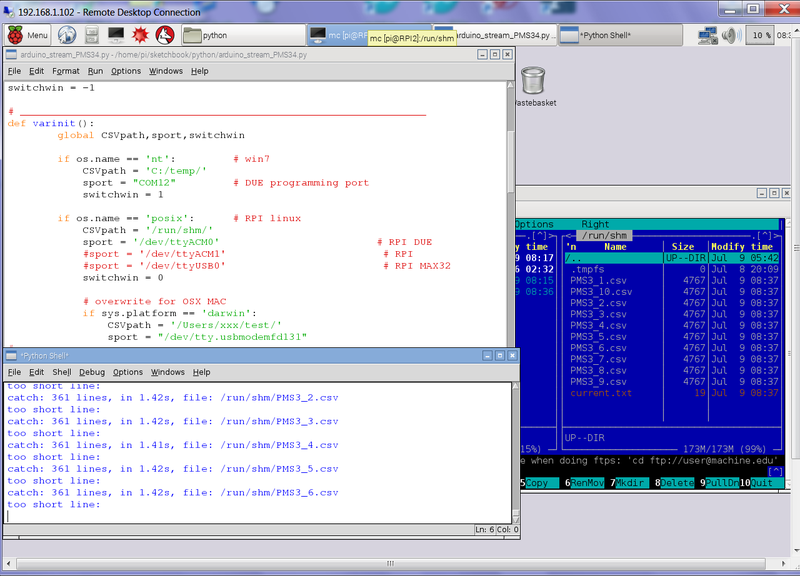 now with this release ( PMS34 ) i think i could make a automatic compiler switch to solve this. but that would make DUE the fastest board. 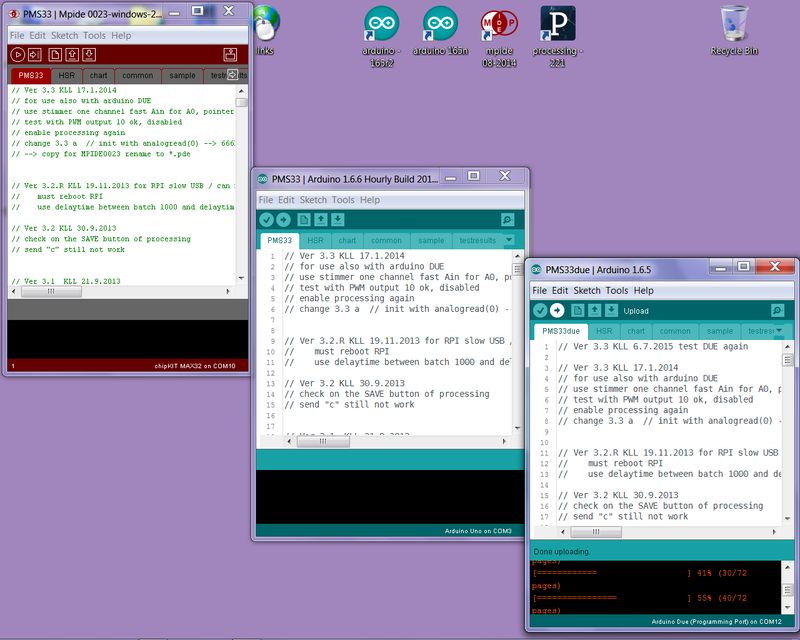 all 3 boards and software IDEs parallel. the 3 code projects are ( should be ) same besides some compiler switches "//"
sudo update-alternatives --config java 0 auto jdk8, 1 manual jdk7, 2 manual jdk 8: i select 1??? try to run the project but can not find its libraries?? prior it worked ( and still under windows with same 2.2.1 version ) with that libraries inside a /code/ subdir with the project. 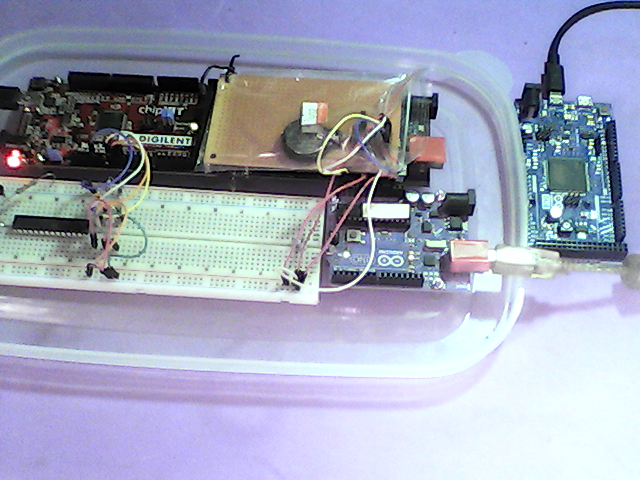 yes better would be under /usr/share/ where also arduino IDE is. here even a 1.5.0 version available?? 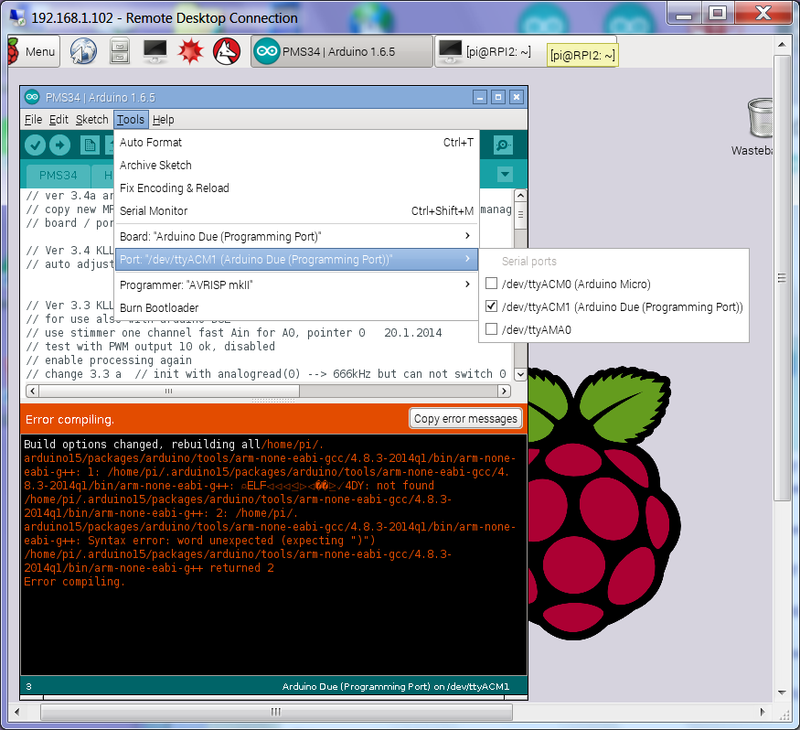 now i want to make PC and RPI version same by detecting OS. or by the new desktop icon. 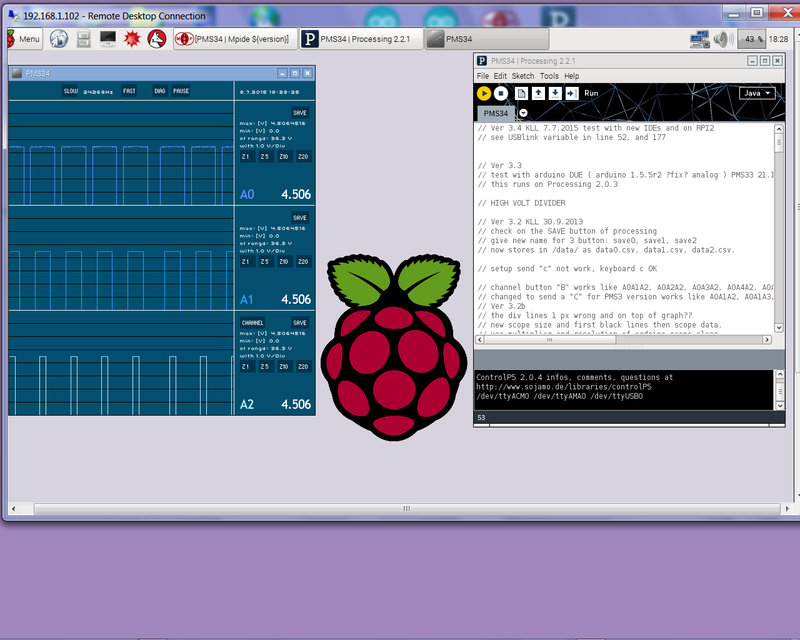 so, with the new and faster RPI2 have to check on all timing on arduino and RPI side. ok, displayupdate 1sec (1000) ok, read every file now. if i burn it by breadboard wiring or if it is possible that i killed it by a broken upload ?? one for starting the scope. you need to stop it first, that operation is possible by click on a icon. 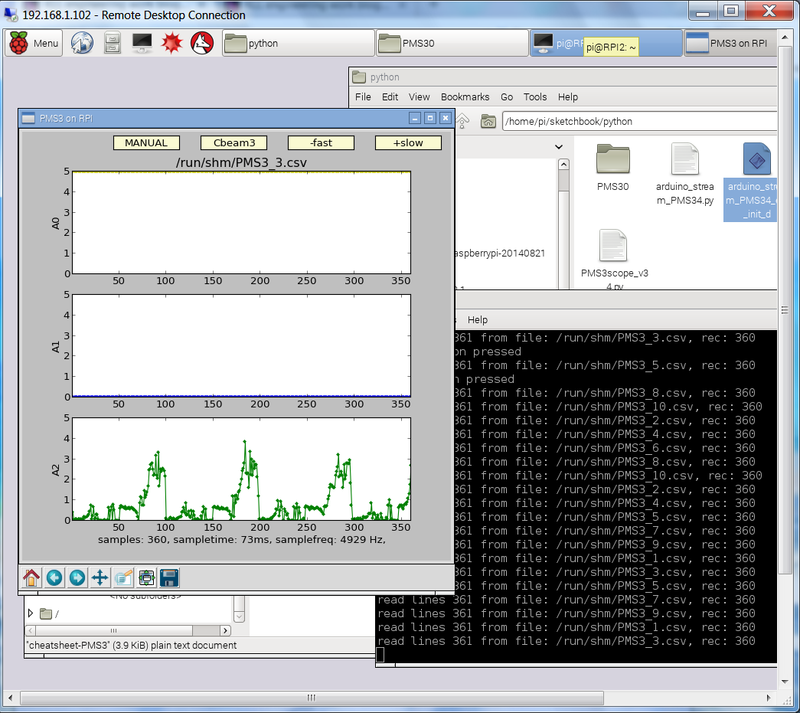 but when i close and reopen the RDP window, the operation (closing the windows ) is possible again. could be a problem with the PC RDP. 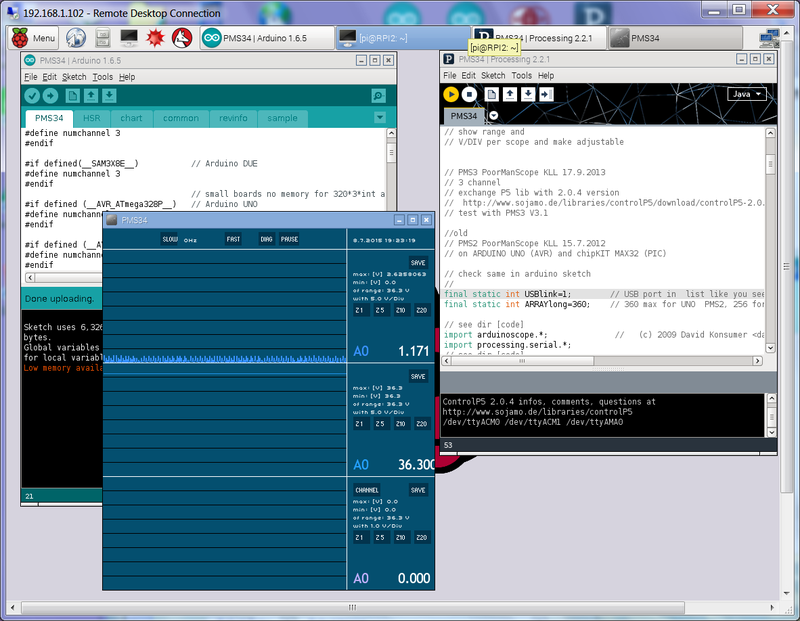 "desktop application" to "web service", means still a python service has to catch the arduino (batch) stream to files at RPI RAM DISK, but the whole visualization and operation is now via a web page, what is part of a bigger project: python flask web server with blog cms, GPIO usage and 3 ways to use a arduino type device on usb cable as extended I/O.